Perfect location, short walking distance to beaches, bars and restaurants. Really nice and helpful staff, they helped us book tours and were able to answer all our questions and recommend what to do around the island. Clean bathrooms and equipped kitchen. Great views and atmosphere at the terrace, would definitely stay there again. Thanks Hvar our staff, hospitality legends! Excellent hostel. I stayed in a room for 12 people and the room was big and the bathroom was clean and good. Location is excellent too. 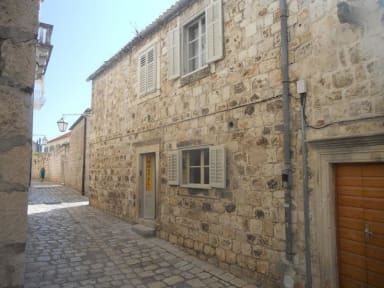 If I go to Hvar again, I will stay in Hvar Out again. Staffs antipaticos, segregando, sem tolerância alguma, não retornaria.